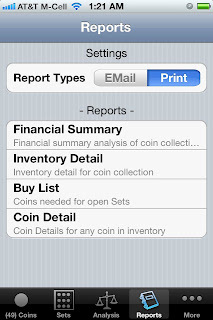 Buy list of the coins needed to fill Set "holes"
Printing in iOS is one of those things that you would expect would just work, same as for your Mac or PC computer nowadays. And that expectation would be right, if you have one of the supported Printers. Hence the rub, all Printers are not equal. At SaintSoft we recently purchased a high-end Cannon Printing Workstation. It does everything, including support for Wireless networks, scanning, photo copying, faxing, etc. 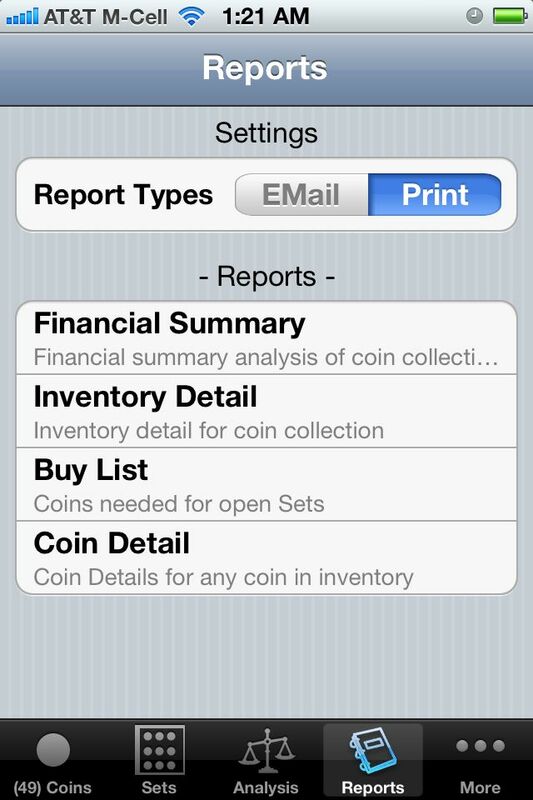 Everything except supporting printing to Apple mobile devices (iPhone, iTouch, iPad, iEtc.). 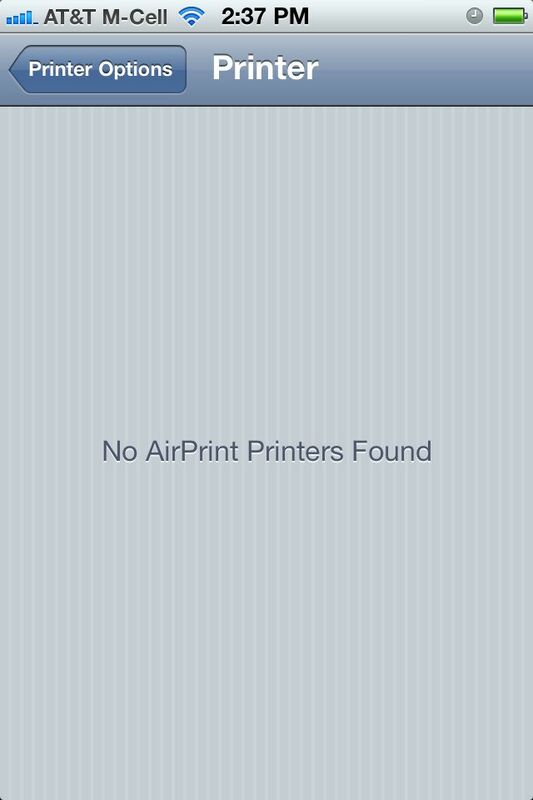 There are a limited set of Printers that support AirPrint, list here. 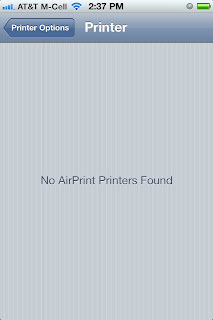 If you are getting the dreaded, "No AirPrint Printers Found", message -- make sure your printer is supported and setup for AirPrint (ePrint in HP Speak). We picked up an HP OfficeJet 8600, works great, for less than $150.